We now have the keys to our library! 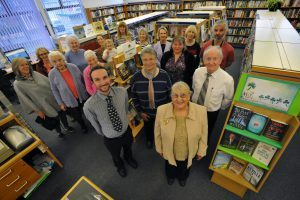 Many thanks to all of the trustees and volunteers that have helped us to get to this stage and many thanks to South Tyneside Council for organising the installation of a brand new accessible toilet for the library. The next two weeks are going to be tough as we redecorate the library, upgrade all of the computers and set up ready for the open day on Saturday 6th April. If you have some time and a paintbrush, come along and help us. We will also have some books that will need putting back onto shelves. Email info@whitburnlibrary.co.uk for more details if you can help.